Lake ecology has a big impact on lake health. Native and invasive species can interact in complex ways, even impacting water clarity and our economy. The following organisms are present in the Madison lakes and can have a big impact on water quality. Water is the link that holds the Yahara Watershed together – learn more about lake levels. Cyanobacteria blooms can close beaches and even release toxins – learn more about cyanobacteria. This recently-discovered invasive species is radically changing the ecosystem of our lakes – learn more about zebra mussels. Learn about two tiny organisms that have a major impact on water clarity in our lakes – learn more about Daphnia and spiny water flea. Despite their longtime presence, carp are considered an invasive species with harmful impacts on native ecosystems – learn more about carp. 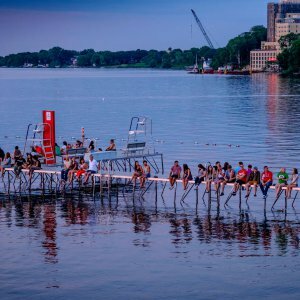 Eurasian watermilfoil was first recorded in lake Mendota in 1962 and can now be found in all of Madison’s lakes – learn more about Eurasian watermilfoil. 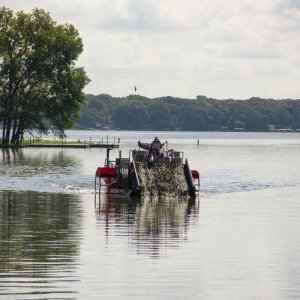 The 62-mile long Yahara River connects lakes Mendota, Monona, Wingra, Waubesa, and Kegonsa in a chain that winds through south-central Wisconsin. Learn more about each lake, and follow the links to lake-by-lake pages with annual updates on water quality conditions. 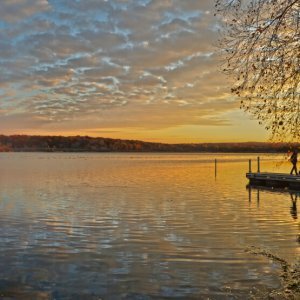 Lake Mendota is the first and largest lake in the Yahara chain – learn more about Lake Mendota. 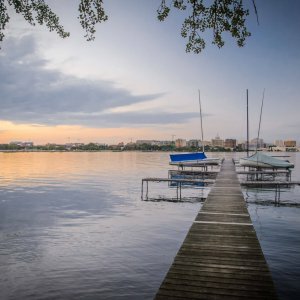 Lake Monona is the second lake in the Yahara chain – learn more about Lake Monona. 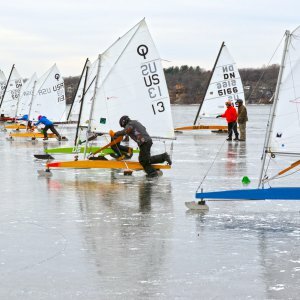 Lake Wingra is the smallest Yahara lake, connected to Lake Monona via Wingra Creek – learn more about Lake Wingra. Lake Waubesa is third lake in the Yahara chain – learn more about Lake Waubesa. Lake Kegonsa is the fourth lake in the Yahara chain – learn more about Lake Kegonsa.